Come See All The Games! Brews Brothers is an ideal place to watch all your favorite college and pro sports teams. There are TV's galore throughout the bar and even wall mounted private plasma TV's at the bar tables. 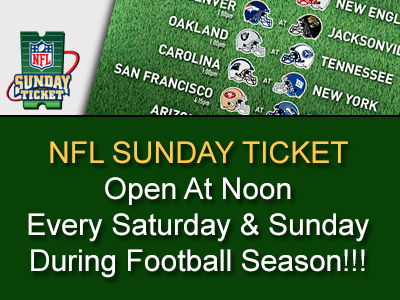 Open at noon on Saturday & Sunday during football with the NFL Sunday Ticket! 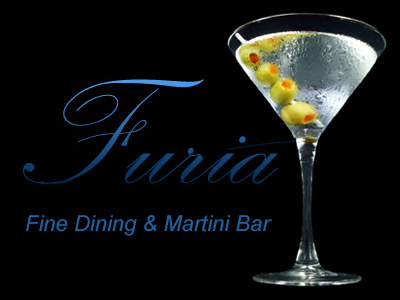 Furia Martini Bar is a fine dining restaurant & martini bar located atop Brews Brothers in Pittston, Pennsylvania. Furia brings "big city" dining close to home offering delectable menu items for you to enjoy including tasty appetizers, soups, savory steaks, saute' and seafood.